Now, speaking as a long haired person myself I must admit, there’s a certain thrill when people exclaim over the bounteous length of your locks. 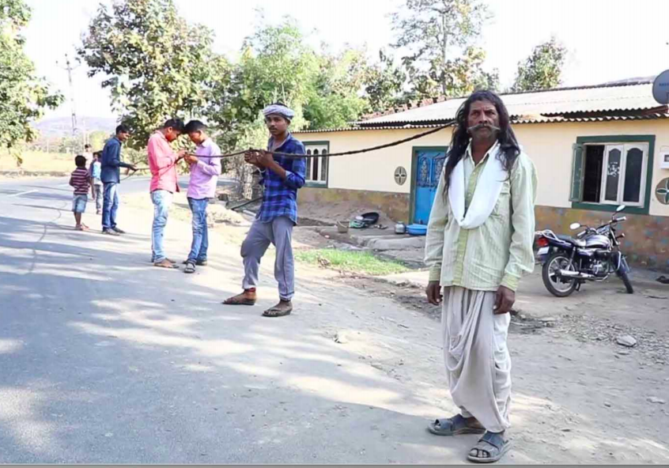 So I have to say, I’m a little green with envy at the thought of 65-year-old Savjibhai Rathwa, whose tresses measure in at an incredible 62 feet (15 metres) in length. 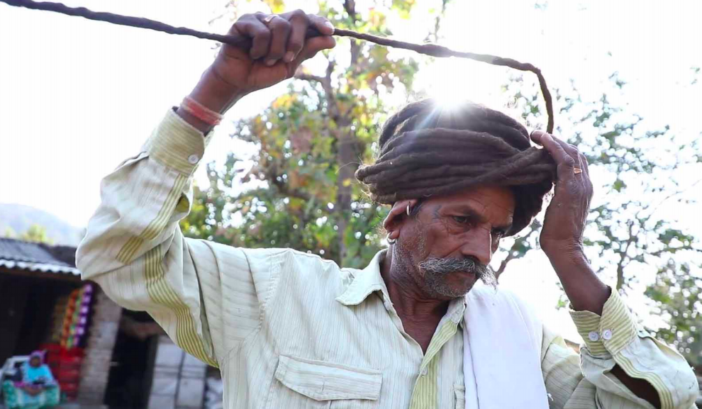 This real life, male Rapunzel – who lives in Vadodara, India’s Gujarat state – hasn’t had a trim in over 50 years – and he isn’t doing it simply because it looks pretty cool. I was 12 when I got the swapnadosh (direction in a dream) from Lord Shiva that I should never cut my hair. It is since then I have been growing my hair. Everybody — including family and friends — have been cool with my ever-growing hair. So far, I didn’t know why I was growing my hair all this while. May be I was destined to save this boy’s life using my dreadlock? Maybe this is why Lord Shiva had showed up in my dream asking me not to cut my hair some fifty years ago? 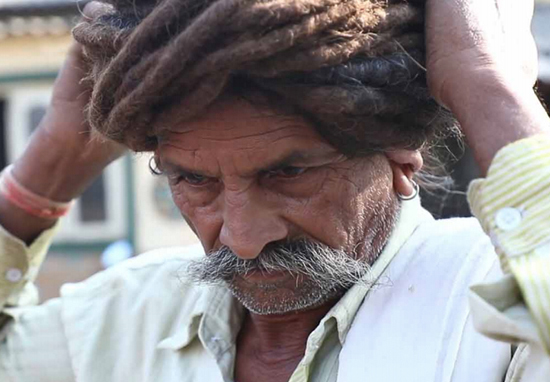 As you can imagine, a heck of a lot of work goes into Savjibhai’s unique grooming routine. He spends three hours each day washing it, which should give many a moaning ‘We are going to miss all the trailers’ boyfriend pause for thought. I dedicate three hours every alternate day to wash my hair. Each wash takes 30 pouches (8ml each) of shampoo, just to ensure that my hair isn’t dirty and smelly. This burns a hole in my pocket, but I keep long hair for a hobby. It’s my faith and it should be maintained at any cost. I hate to keep my hair dirty and, luckily, I have my grandchildren to help me. When I first started growing it, some of my friends used to mockingly call me effeminate. Some even thought I was planning to become a hermit and renounce the world! My long hair is the blessings of the God. The secret of my long hair is vegetarian food and cow milk. I have cow milk thrice a day. Six glasses to be precise. I add a little turmeric and jiggery [Indian sugar] in it to make it healthier. Xie Qiuping, from China, was the previous record holder of ‘World’s longest hair’ before his death in 2010, with hair reaching lengths of 22 foot. However – despite almost definitely having the title in the bag – Savjibhai is reportedly uninterested in having his own hair officially measured. Is anybody else feeling majorly anxious right now at the thought of trying to blow-dry all that hair before a big night out?